People often talk about their “forever” home and when they post pictures of it, it’s a beautiful country location, stunning gardens and pretty views. Our forever home is on the outskirts of one of the biggest cities in the world, definitely doesn’t have a stunning garden (although at 100ft long it’s probably stunning in that sense for Londoners) and well, the views aren’t fantastic. I’m starting to joke with Pete that far from being a forever home in the same vein, ours is a “going-to-take-forever-to-get-it-right” home. Joking aside though, it is everything and so much more than I ever thought would be possible. I have to admit feeling so frustrated at times with how long certain projects seem to take us or how little it feels we get done. I see scaffolding going up on houses up and down the street or skips turning up in driveways and wish it was ours. Then the flip side is that I remember a) we’re doing as much as we can as properly as we can which takes longer and is more expensive and b) money doesn’t grow on trees. 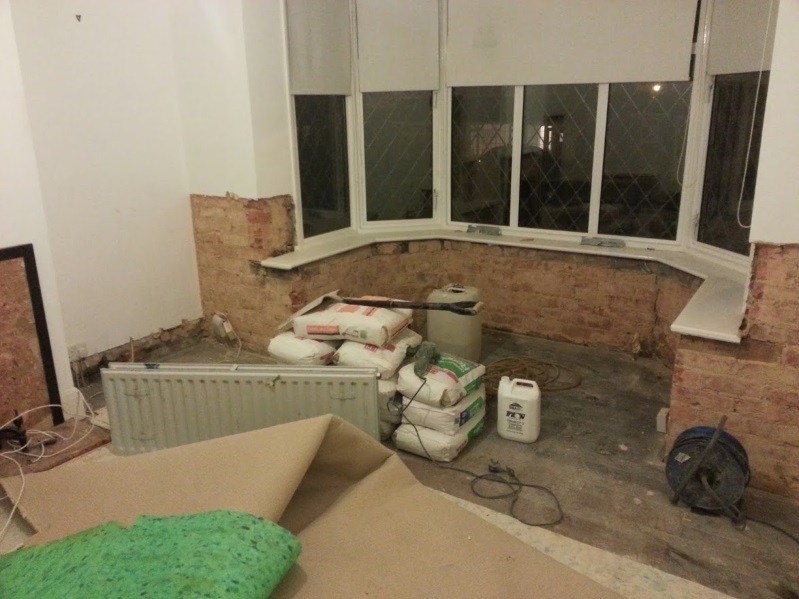 Damp proofing – the home buyers report indicated a serious issue with rising damp and although it’s probably a given that all houses over a certain age have this same issue, we thought it better to invest in the future of our home. Thankfully this was done before we moved in, I had no idea how crazy messy it is. 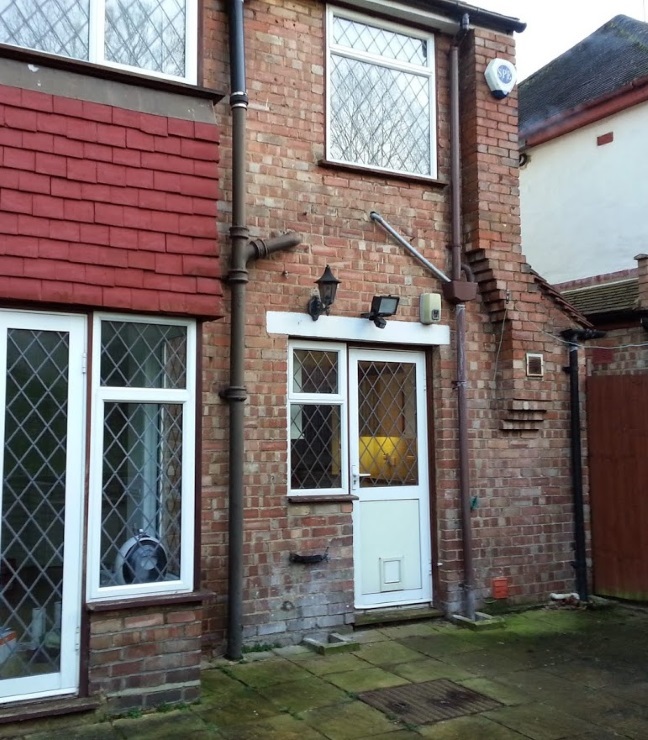 Repairing the damp on the inside – in between when we looked at the house just before Christmas 2013 and when we actually exchanged in January 2014, it was one of the wettest winters. 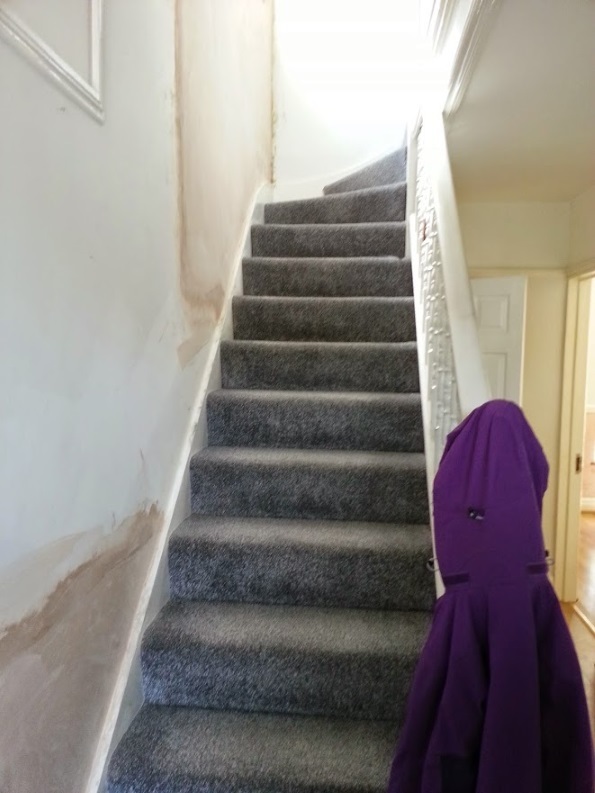 Rain seeped in through our detached side and created a massive damp patch between the ground floor and 1st floor, and a smaller one between the first and second floors. 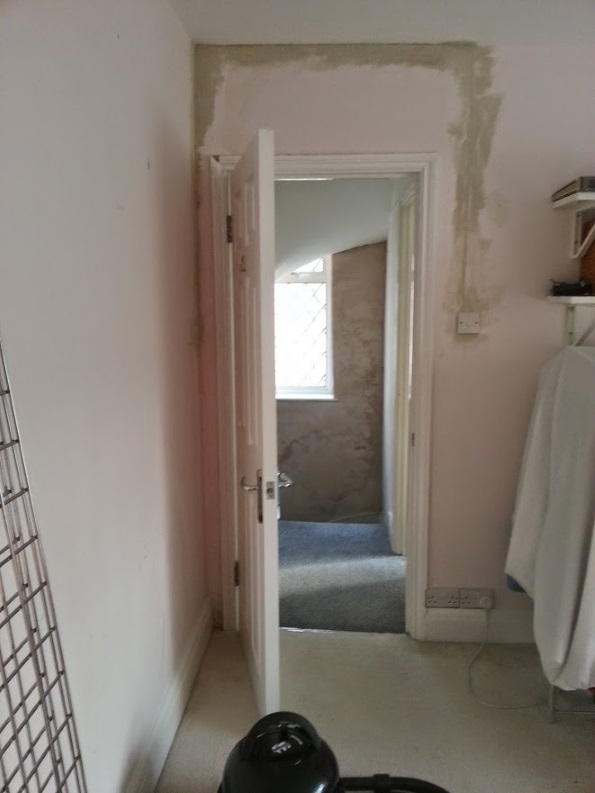 Below shows the damp area underneath the window and what the hallway looked like after it was repaired. 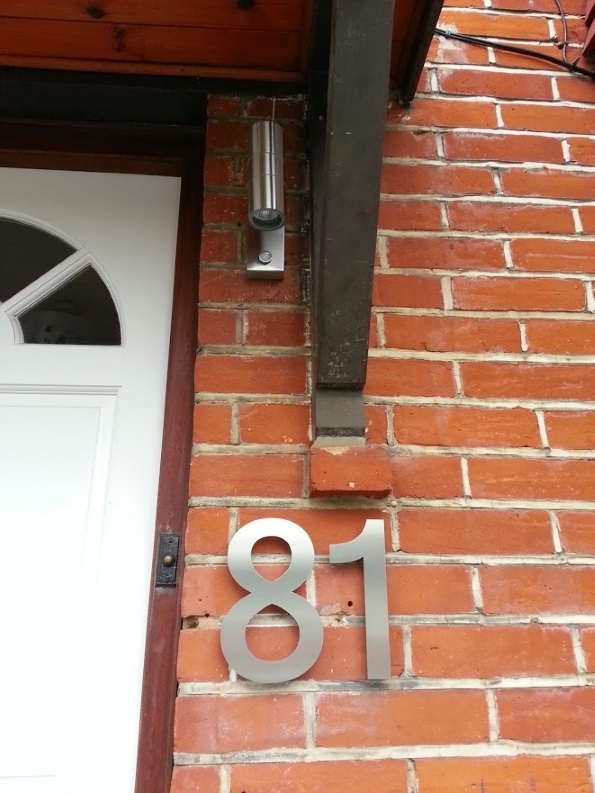 Changing the light outside the front door and the house number – both were hopelessly old-fashioned and simple small changes can make such a difference to the appearance. Below is the before and after. 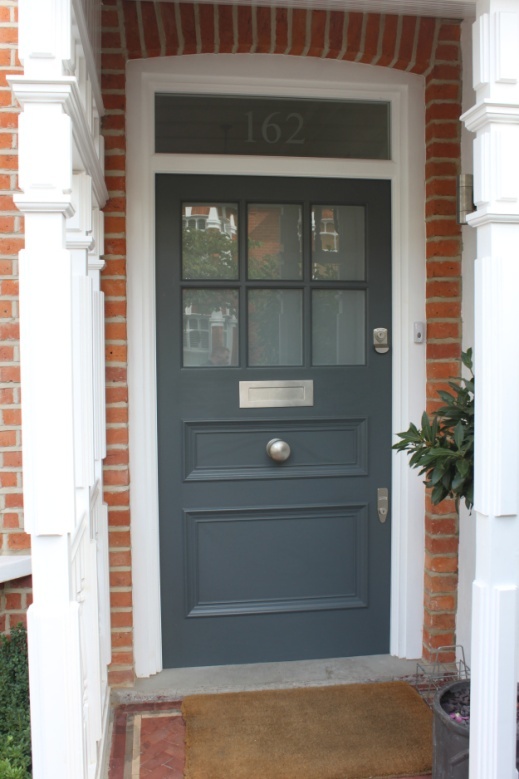 Chose a new front door – some of you will know about my front door obsession. It still isn’t changed but I’m saving, oh yes. Below is an example of what I want, a long way from what we currently have. 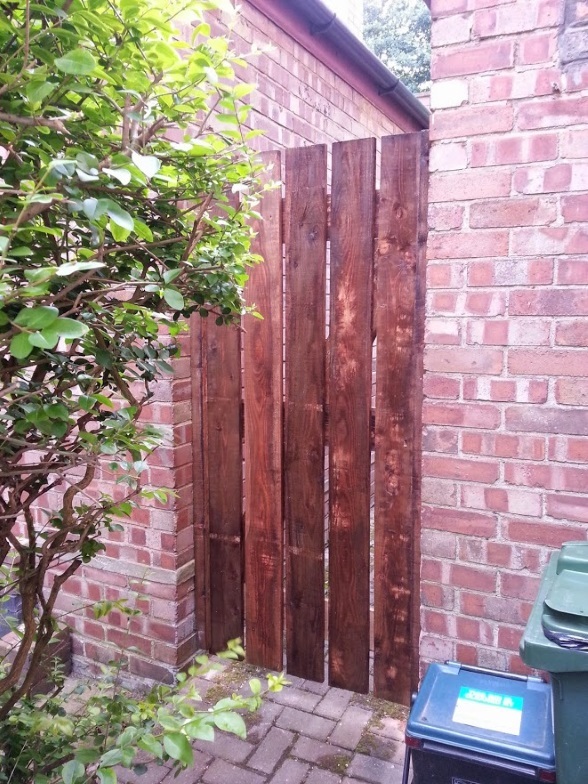 Replaced the side gate and garden gate – we have a shared passageway between us and our detached neighbours. The gate which was there and been kicked in by one of the previous owners delinquent children and was hanging off in pieces when we looked at the properties. The one from the passageway into our garden didn’t shut properly. 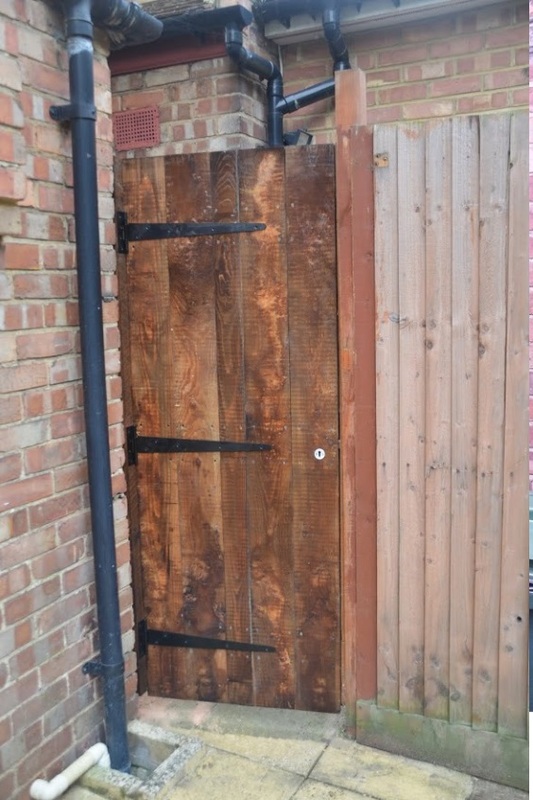 Our lovely neighbour who happens to to be a cabinetmaker made and replaced both gates for us. 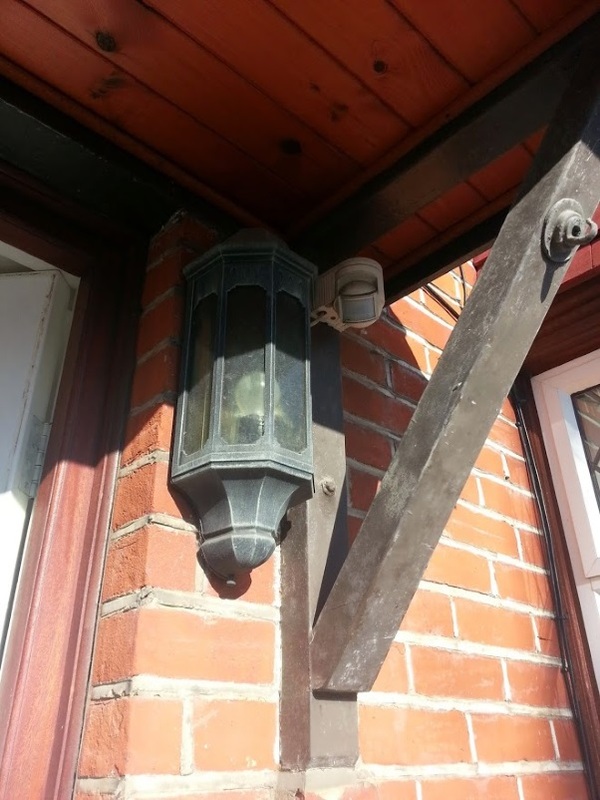 Fitted a new security light above the back door – there is an interesting assortment of lights above our back door, as well as many puzzling switches. At least one now works. 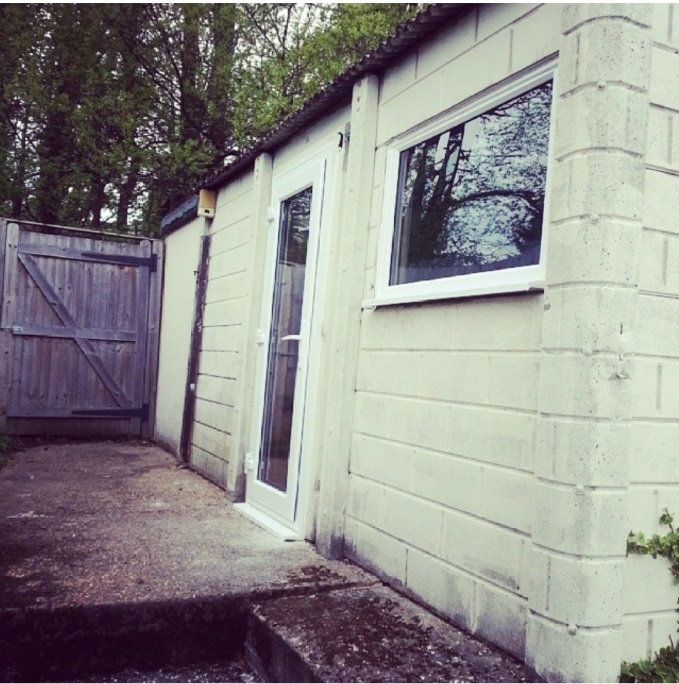 Replaced the door and one window to our garage/outbuilding at the bottom of the garden – similarly to the gate, the wooden door into our “garage” was hanging from its hinges and the window was at least 1,000 years old. Both were replaced mainly for security reasons than anything else. 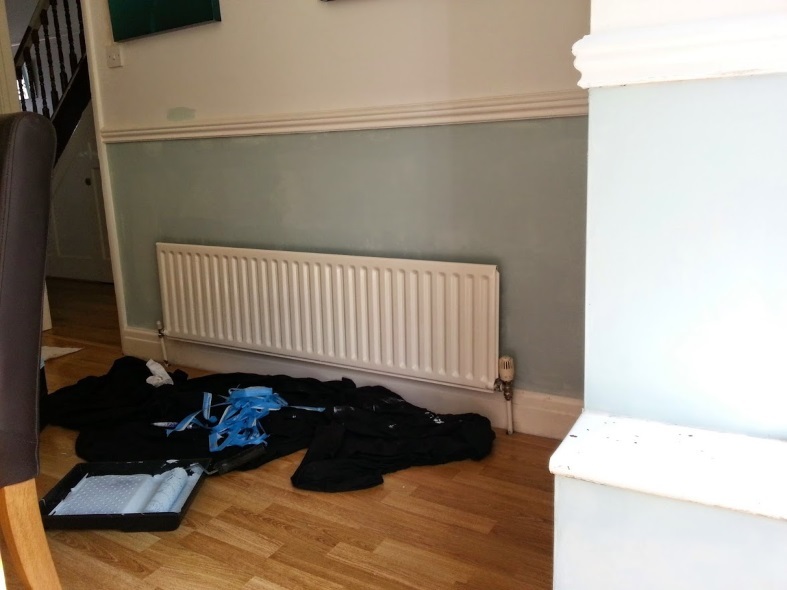 Repainted the damp proofing in the dining room – this room is more or less now the dog’s room and at some point we’ll extend off the back so don’t have too many plans for it at present. 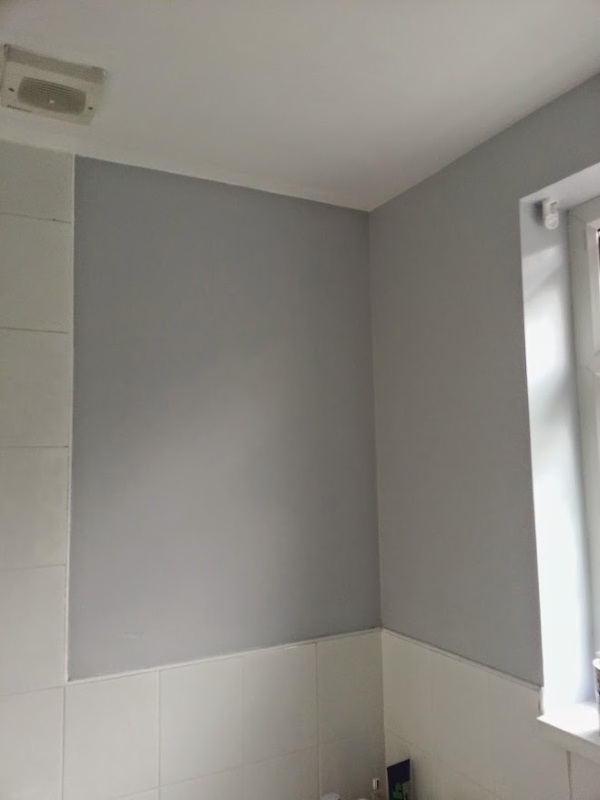 The bare plaster walls looked horrible though so right before we picked up the puppy last summer, I did a very speedy and slightly messy paint job. 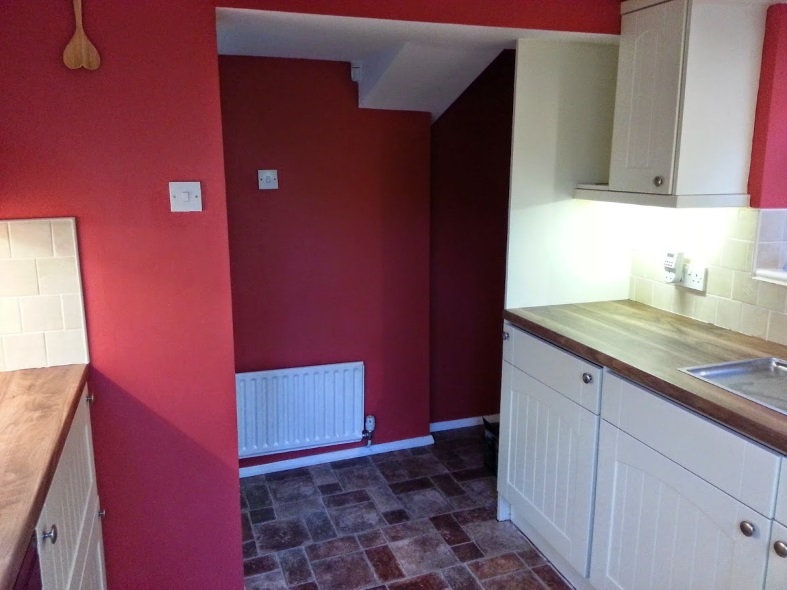 Repainted the kitchen – for some reason the previous owners had painted our small, dark kitchen a very deep, dark red which made it look like the inside of a tomato. 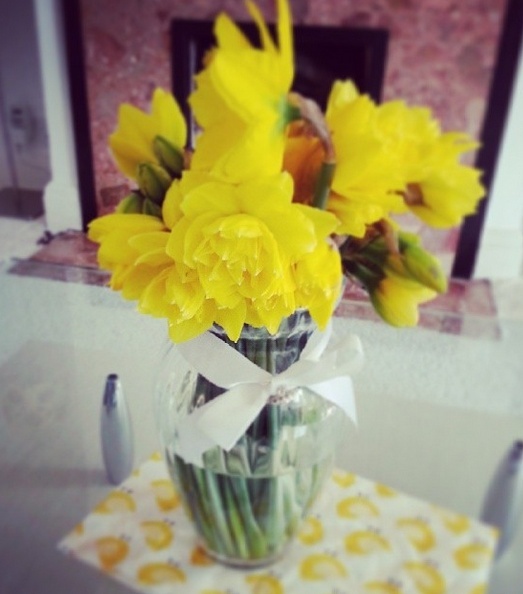 Over Easter 2014, I repainted it white which took several coats. It now feels cleaner and less small. 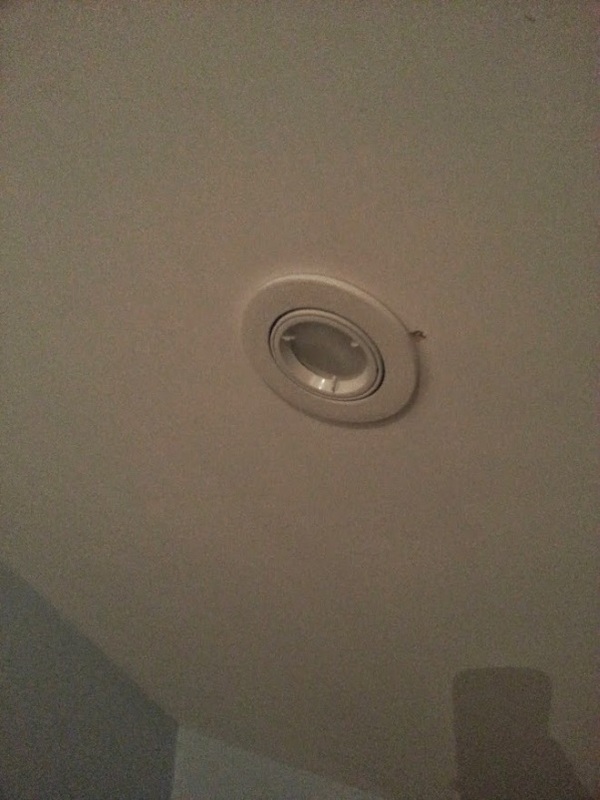 We also replaced the ceiling lights which were old and stained. 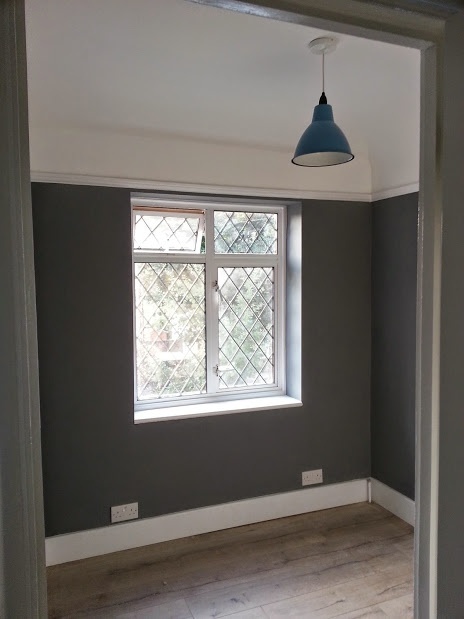 Moved the light switches around on ground and first floor – in older houses, doors used to open facing the wall first and then swing open into the room. At some point in the house’s history, the doors were switched around to open into the room first which is lovely, but the light switches then ended up being behind the doors. I didn’t think it would drive me crazy, but it did. 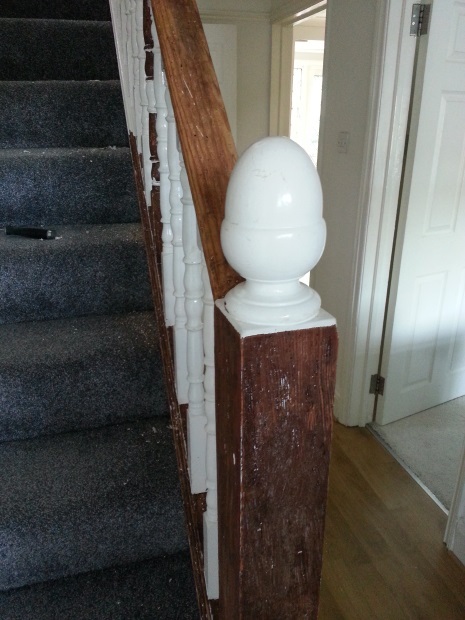 Started the staircase restoration project and wished I hadn’t – inspired by other lovely blogs and wanting to recreate a period-style hallway, we started stripping the awful thick, cream, glossy paint from the bannisters. This will take forever. And ever. 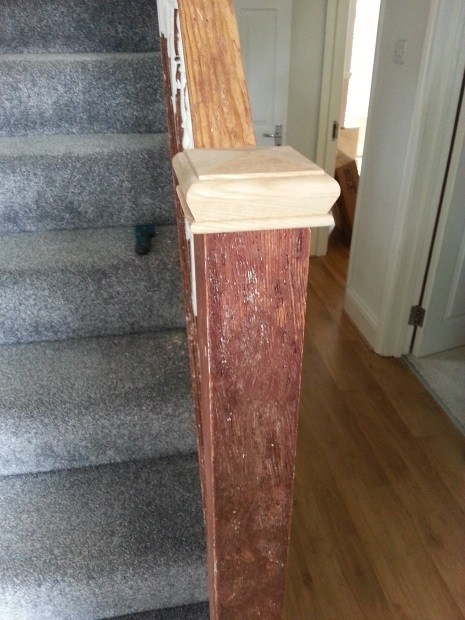 We did get the hideous massive acorns atop the newel posts replaced with cap-style which look so much better. 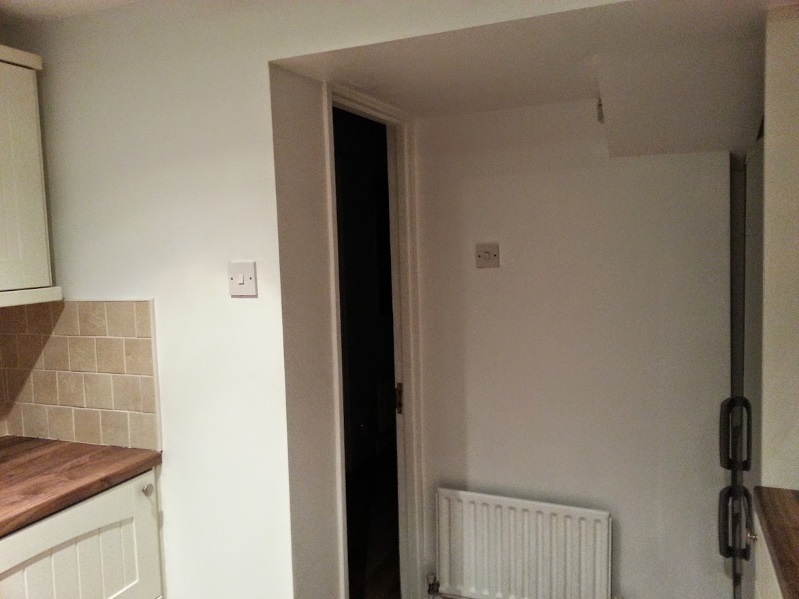 Started repainting the hallway – this also suffered via the damp and so up until Christmas was half-bare plaster, half paint. 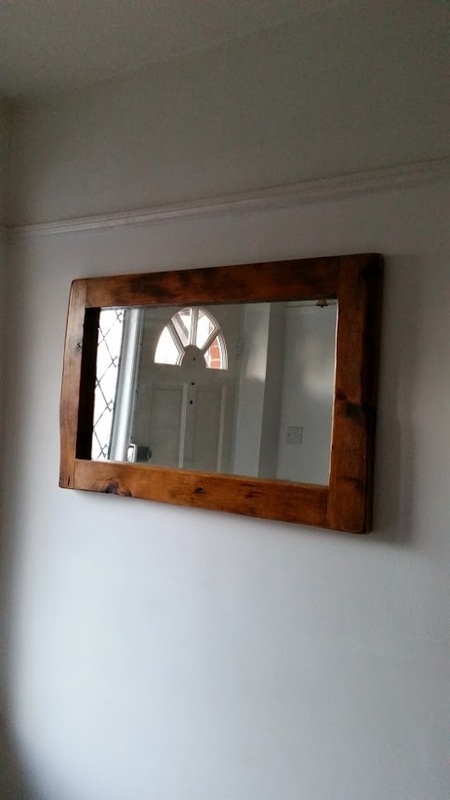 We found a beautiful hallway mirror which was made for us using 1930s wood but it seemed wrong to hang it on the half-finished walls. 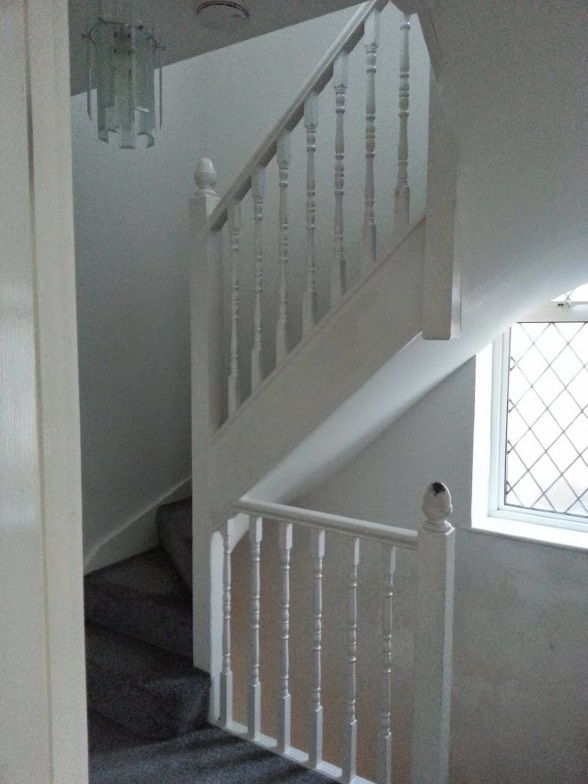 We don’t yet know what colour we want the hallway but it looks much cleaner and brighter now we’re tidying up the white. 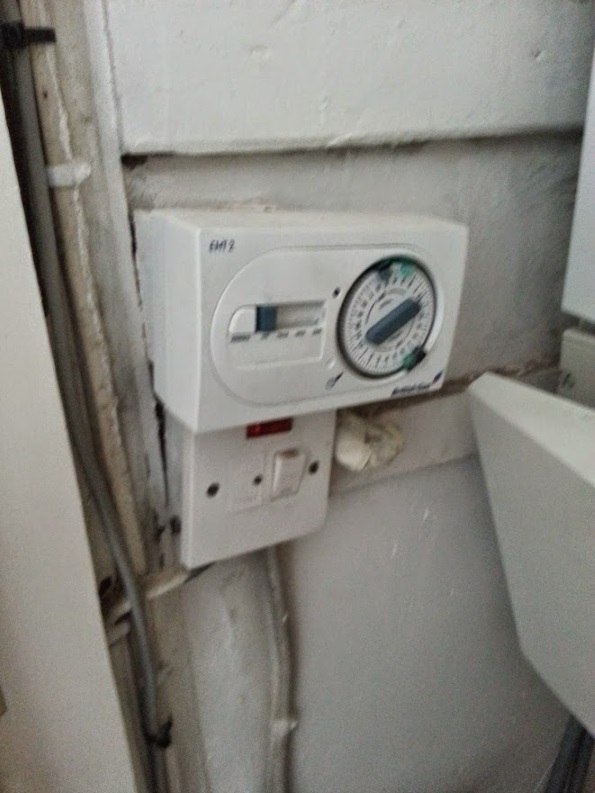 Replaced the boiler timer in the bathroom – I hate that the boiler is in the bathroom as it takes up so much space, but worst of all was the timer that we had in there ticked constantly and loudly. We replaced it with a digital one. Which is silent. 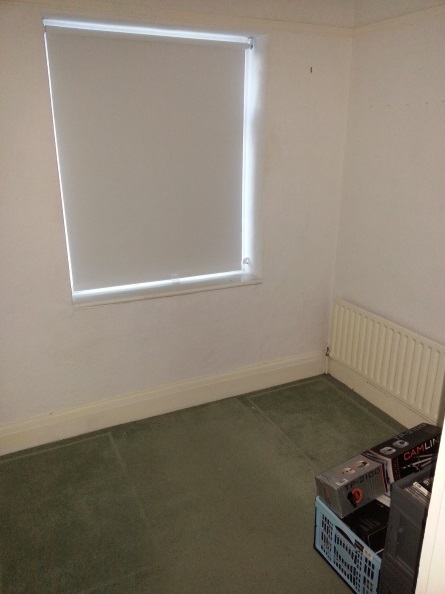 Transformed the smallest 4th bedroom into a home office – this is still underway but we’re nearing completion. 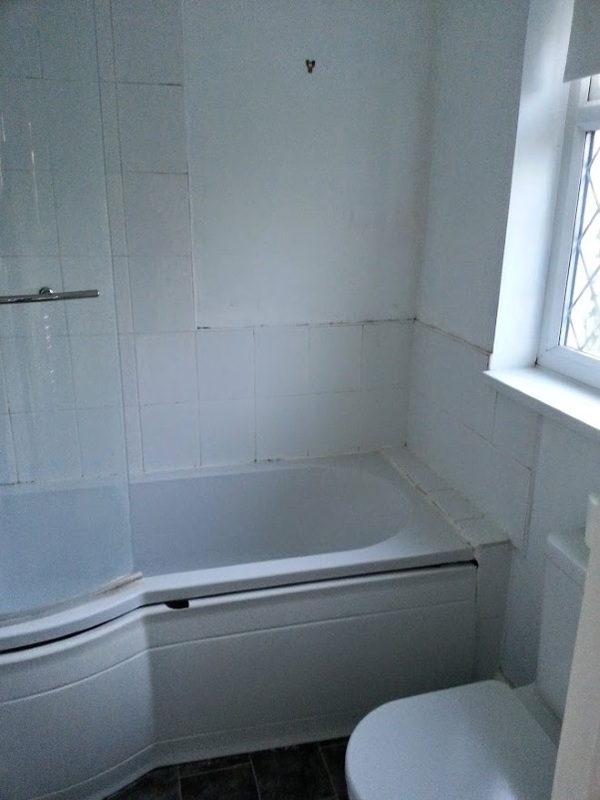 We had to strip the wallpaper and replaster, before laying new flooring and repainting. Had new lights fitted above the bed in our bedroom – we chose to sleep up in the converted loft since it’s a lovely big space and with windows on either side the natural light is just amazing. It’s a beautiful room no matter what time of day of year. 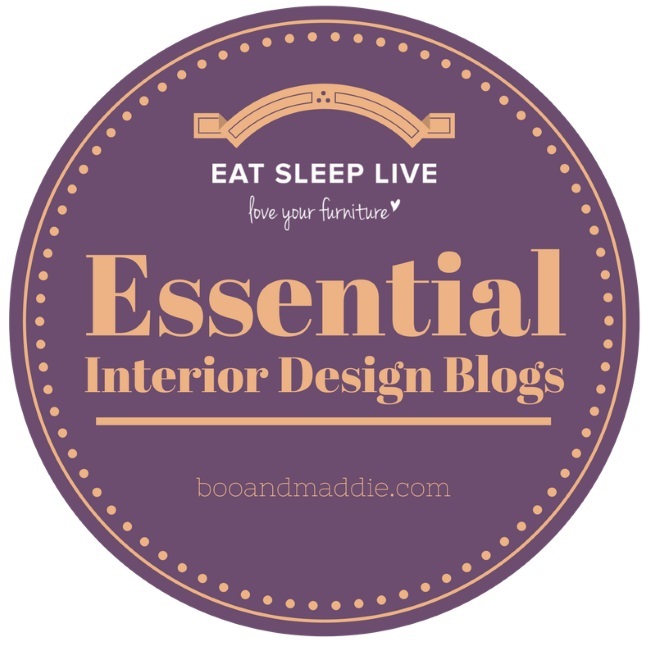 Yet the hideous ceiling threeway spotlight gives off remarkably little light and the bed is under the sloping part of the ceiling which makes it hard to fit bedside tables, let alone lights on top. 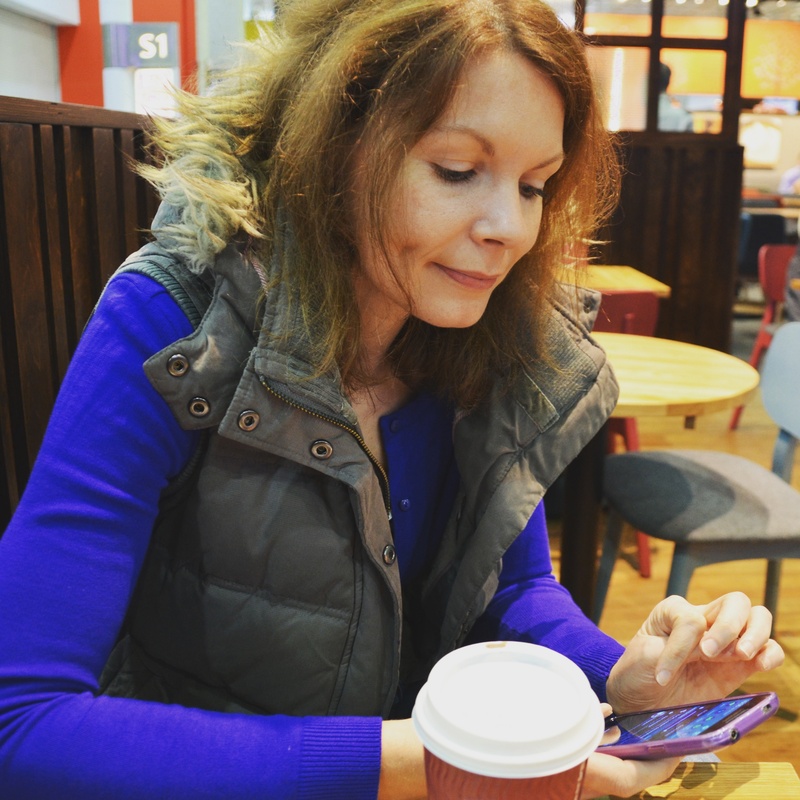 Looking back on this year it feels quite cathartic. I never think I’ve done enough and wish we could move faster but looking at that long list, it’s pretty good going – I should add that we haven’t done all the work ourselves and have left some of it up to the true professionals and found some fantastic companies along the way. It’s certainly been challenging at times as we’ve discovered more and more that needs doing but it’s hugely fulfilling at the same time. I can’t wait to see what the year ahead brings. 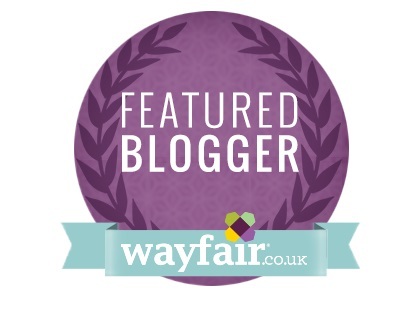 Thanks Aileen for your kind words – it was such a good idea to write it all down and reflect. I always say to OH that it doesn’t feel like we’re doing as much as we could but he says we’ve done loads. I’ve now realised that he’s right!